IF you've never tried dancing to bag pipes, don't be scared, it's hilarious fun. 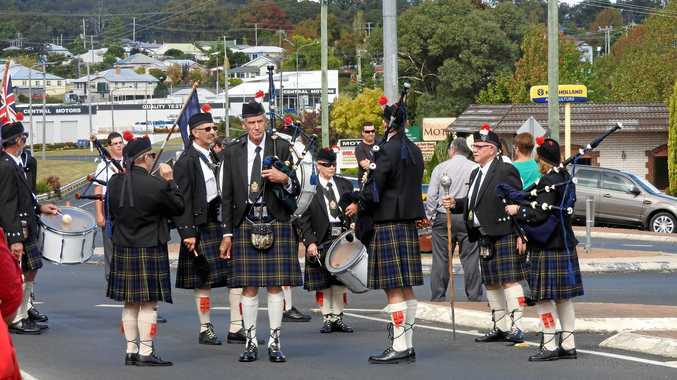 Back by popular demand, the Stanthorpe Pipe Band is throwing an Easter dance on Saturday. Organiser Burniece Bowes-Wright says it promises to be a night of hilarity and family fun, with music for dancing from Gwen Chapman as well as "old favourite” Scottish tribute songs by the pipe band. The Broadwater Easter Dance will be held at the Broadwater Queensland Country Women's Association Hall on Texas Rd at 7.30pm. The pipe band put on a theatrical display at their first dance before Christmas last year, Broadwater QCWA president Sue Boyce said. "When the pipe band walked into the hall they marched in, playing their music, and went straight to stage, got on stage and played,” she said. Immediately afterwards people approached Mrs Boyce demanding a second dance. They would have wanted one the following week if she'd been able to organise it, she said, laughing. "We all liked it that much that I booked them again for this year,” Mrs Boyce said. Community dances and other family-friendly events are few and far between in Broadwater, she agreed. "There aren't events every weekend - sometimes there are markets, but they can be cancelled.” People do dance to the bag pipe songs, Mrs Boyce said, but there will also be gypsie taps, barn dances and other guided dance tunes. "Maybe we'll throw a chicken dance in there or something, you never know what the band will do,” she said. The CWA has many keen bakers in its membership so supper promises to include tasty cakes, biscuits and slices. Tea and coffee, sandwiches and soft drinks will also be on offer. A basket full of chocolate eggs is up for grabs in the Easter raffle and there will be a lucky door prize. Games on the night include a "lucky spot” in dances, where the music stops suddenly and a person closest to a nominated spot on the dance floor gets a prize. The 12-member band comprises four pipes and eight drummers.